Recently the government’s efforts for encouraging the use of electric vehicles by 2030, gained a successive momentum with Indian Oil Corporation established its first electric vehicle charging station in the city of Nagpur on Sunday 19, November 2017. The charging station has been established in joint collaboration of IOC and leading car operator Ola. Earlier this year in its annual report for 2016-17 IOC had indicated its intention of setting up battery charging stations and also exploring the manufacturing of lithium-ion batteries. 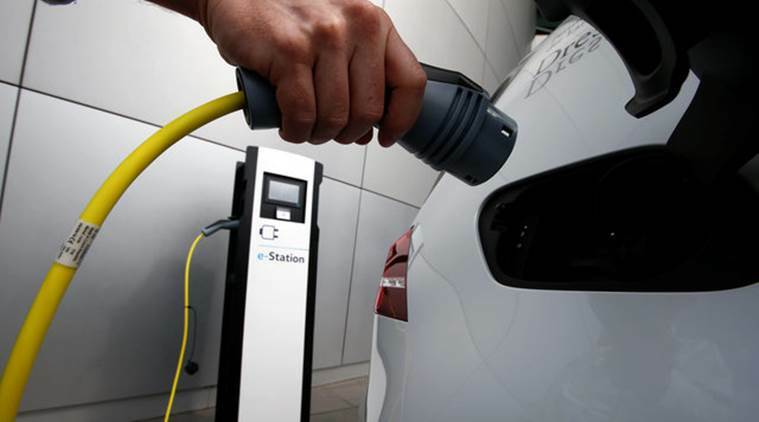 According to government’s National Electric Mobility Mission Plan 2013 its plans to have to 6-7 million electric and hybrid vehicles running on the Indian roads by 2020. Along with this the government had also initiated its vision for electrifying mobility in the Indian car market by 2030 two years back. In the words of Mr. Murali Srinivasan, IOC, Executive Director "We applaud Ola for building the electric vehicle eco-system from a nascent stage in Nagpur and are happy to partner with them in their efforts,"
On the other side autonomous body Energy Efficiency Services Limited (EESL) after receiving first fleet of electric vehicles from domestic car maker Mahindra and Mahindra last week, has announced to invite the bids for supplying the fleet of 10,000 more electric vehicles for the use in government departments during the months of March-April next year. According the sources of the EESL the major delay in the implementation of electric mobility is due to lack of government‘s vision for developing an appropriate infrastructure for electric vehicles.